Embrace the traditional way to cook with the use of a hog roasting spit pole. 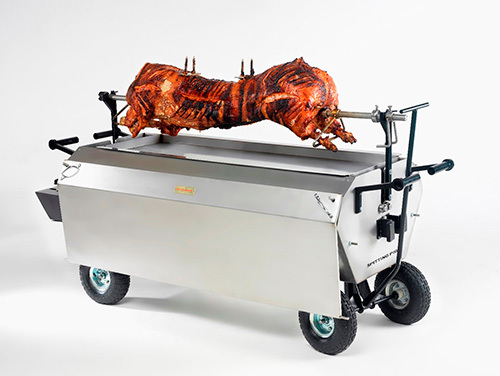 This show stopping addition to your hog roaster allows you to cook and entertain at the same time, there’s something fascinating about seeing a whole hog slowly roast as it turns – and the smells are delicious too! 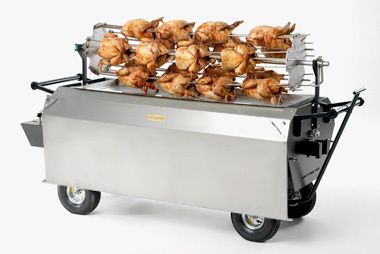 This accessory uses a 240v motor to rotate a full pig or lamb, adding real theatre to the cooking process. Watch the skin crackle and the juices drip before your very eyes. 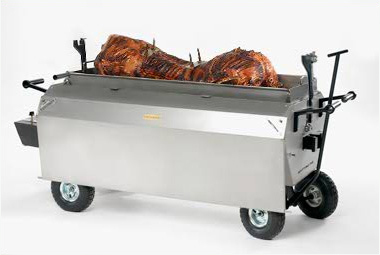 Our spit roast kit can take a maximum weight of 80kgs, which allows for a huge piece of meat. The meat can be monitored through a viewing panel, by both chef and guest, before it is raised for carving. 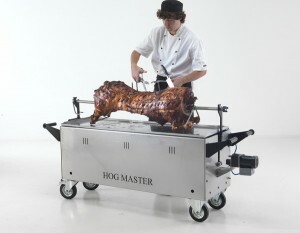 Just slide a carving tray beneath the hog and away you go. 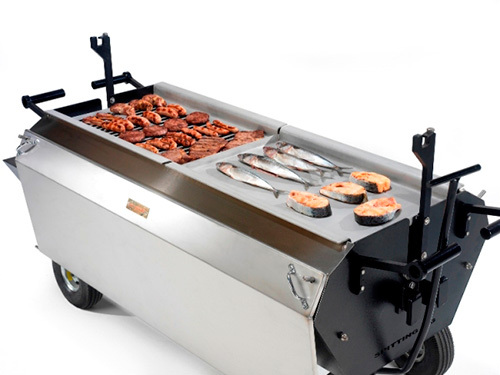 The carving tray can even be heated with a thermostatically controlled burner, to keep your meat hot before you serve it up. The spit roast kit is one of our most popular pieces. The use of a spit pole can really create an air of excitement come dinner time! It’s the perfect addition for any hotel, restaurant, catering company, pub or venue. Talk to us directly to find out more about why to buy a hog roaster and spit roast kit.